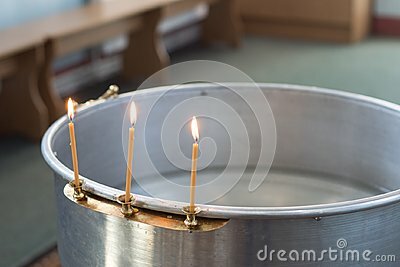 Big bowl of water for the baptism of a baby with wax candles. Orthodoxy. Greek Catholics.